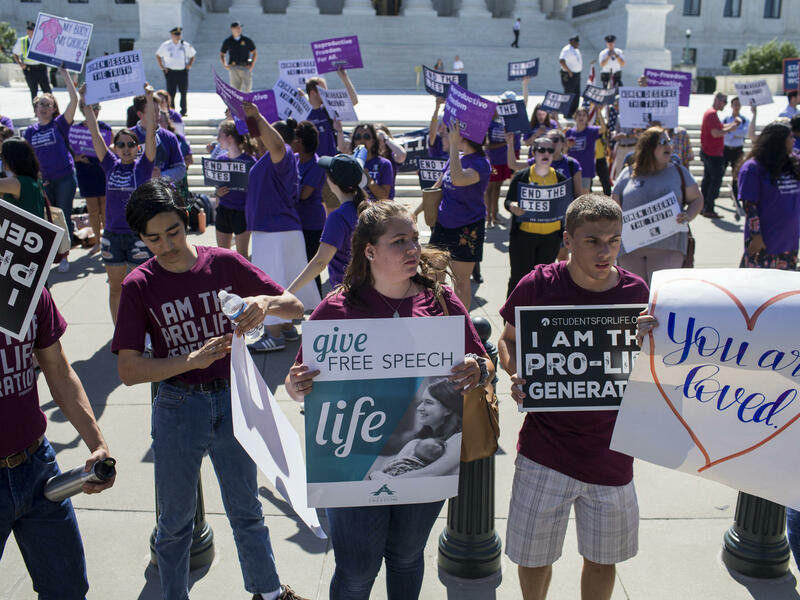 Abortion-rights proponents protest outside the U.S. Supreme Court on Tuesday. The retirement of Justice Anthony Kennedy set the stage for a battle over abortion rights unlike any in a generation. Abortion-rights supporters and foes rally at the Supreme Court on Monday. Almost as soon as Justice Anthony Kennedy's retirement was announced, several anti-abortion-rights groups began their campaigns to influence the pick for his successor. On Thursday evening, President Trump met with six key senators likely to be targeted by intense lobbying efforts from both sides of the abortion debate. Among them were Republicans Susan Collins of Maine and Lisa Murkowski of Alaska, who have supported abortion rights in the past and will face heavy pressure from reproductive-rights advocates to vote against the confirmation of any nominee seen as likely to roll back abortion rights. Trump also met with Sens. Joe Manchin of West Virginia, Heidi Heitkamp of North Dakota and Joe Donnelly of Indiana; all three are red-state Democrats seeking re-election this fall and likely to face pressure to side with Republicans. As the 2016 presidential campaign wound down, then-candidate Donald Trump made clear that if elected, he would work to see an end to the Roe v. Wade Supreme Court decision on his watch. "If we put another two or perhaps three justices on, that's really what's going to be, that's what will happen," Trump said at the final presidential debate in October 2016. "And that will happen automatically in my opinion, because I am putting pro-life justices on the court." But the 1973 Supreme Court decision that legalized abortion nationwide won't be overturned automatically, nor without a fight. Speaking to reporters on Thursday, White House spokeswoman Lindsay Walters said the president "has begun" the process of finding Kennedy's replacement and that he will choose a nominee from one of the lists of potential justices he has previously released. Trump initially released the names of his potential Supreme Court picks during the 2016 campaign in an effort to firm up support among social and religious conservatives and added additional names last year. Walters told NPR's Scott Horsley that Trump will announce a pick "within a few weeks." Kennedy's departure will usher in a fight for the future of the Supreme Court that many social and religious conservatives anticipated and hoped for during the 2016 campaign. Trump's promise to appoint conservative, anti-abortion justices helped turn out the base voters he needed to secure his surprise victory. Exit polls suggested the makeup of the Supreme Court played a major role for many voters on both sides, but more for Republicans. Almost as soon as Kennedy's retirement was announced, several anti-abortion-rights groups seized the moment. "We're the closest we've ever been to overturning Roe v. Wade," a woman says in a video released online by the group Students for Life of America shortly after the news broke. In an interview with NPR, Students for Life President Kristan Hawkins called the retirement of the court's swing vote "a day that we've been waiting for." "Our goal in the pro-life movement has always been to make abortion illegal and unthinkable," Hawkins said. "So we want Roe to be overturned ... and we expect that." Hawkins noted that Kennedy has voted to uphold abortion rights in several cases, including the landmark 1992 ruling Planned Parenthood v. Casey, and more recently, in Whole Woman's Health v. Hellerstedt, which overturned a Texas law that placed additional health regulations on clinics that perform abortions. Meanwhile, abortion-rights supporters, like Nancy Northup of the Center for Reproductive Rights, called Kennedy's retirement devastating news. "He has been a crucial vote in landmark reproductive rights cases," Northup said. "[I'm] extremely concerned," said Helene Krasnoff, vice president of public policy, litigation and law at Planned Parenthood Federation of America. "President Trump has been making good on his threat to stack the courts with those who are opposed to safe, legal abortion, and we can only expect that he'll nominate another extreme opponent." Republicans have a narrow, 51-seat majority, and all eyes will be on a handful of Republican senators who have been supportive of abortion rights and on red-state Democrats facing re-election in November. Senators in each group will be under pressure to come over to the other side of the aisle. "It's gonna be epic," said Marjorie Dannenfelser of the Susan B. Anthony List, which works to elect candidates who oppose abortion rights. "It will be cast as a pretty pivotal vote on the court on this issue and many, many others. ... We've been preparing for this fight for a very long time." Hawkins said her group has more than 1,200 chapters around the country, and organizers will encourage members to lobby their senators during the confirmation process. Krasnoff, of Planned Parenthood, said abortion-rights advocates also will be lobbying senators to vote against any nominee seen as likely to overturn Roe. "President Trump and Mitch McConnell hold the balance of the court in their hands right now. And with it, they hold the right to safe and legal abortion," Krasnoff said. "So we're going to be getting that message out and making sure that the Senate rejects any nominee that opposes Roe v. Wade and the right to safe, legal abortion." Speaking outside the Supreme Court on Thursday, Ilyse Hogue of NARAL Pro-Choice America urged abortion-rights supporters to reach out to lawmakers. "This is about all 100 senators hearing from people on a daily basis that they do not want people, women, families, criminalized," Hogue said. While polling on abortion is difficult and yields mixed results depending on how the questions are asked, multiple polls suggest a majority of Americans believe abortion should be legal in at least some cases, particularly in early pregnancy. If Trump is successful in pushing through a nominee who is likely to overturn or erode Roe, the fight over the future of the decision could play out in several ways. Northup, of the Center for Reproductive Rights, said restrictive laws recently passed by several states could work their way to the Supreme Court. She points to what is known as a "heartbeat bill" in Iowa, where state lawmakers recently approved one of the strictest abortion laws in the nation. The law, which is being challenged in the courts, bans the procedure after a heartbeat can be detected, which is often before a woman knows she is pregnant. Other states, including Mississippi and Louisiana, have banned abortion at 15 weeks' gestation, and others have prohibited specific methods. "I think it's going to be the early cutoff dates for abortion that you're gonna be seeing going up to the court that could challenge Roe v. Wade, because Roe v. Wade and its cases that have followed have made clear that before the time of fetal viability it's for the woman and her doctor to make the decision," Northup said. "And these states have been passing laws trying to radically change that." At the final presidential debate in Las Vegas, Trump promised that if Roe is overturned, "It will go back to the states and the states will then make a determination." That's true, and it's the goal of many abortion-rights opponents, some of whom downplay the idea that abortion could become illegal nationwide. 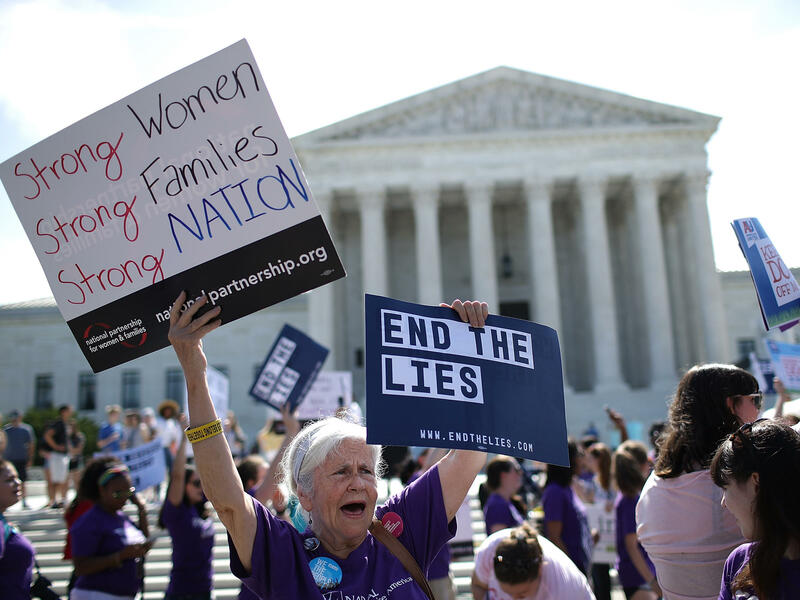 "Without question, our goal is to overturn Roe v. Wade so that states are allowed to enact their own wills into law," said Dannenfelser, of the Susan B. Anthony List. But states have a patchwork of laws, with red states tending to pass more restrictive abortion ones. Alexis Cole, an attorney and policy director at Unite for Reproductive & Gender Equity, said 17 states already have laws on the books that would heavily restrict or ban abortion if Roe were overturned. 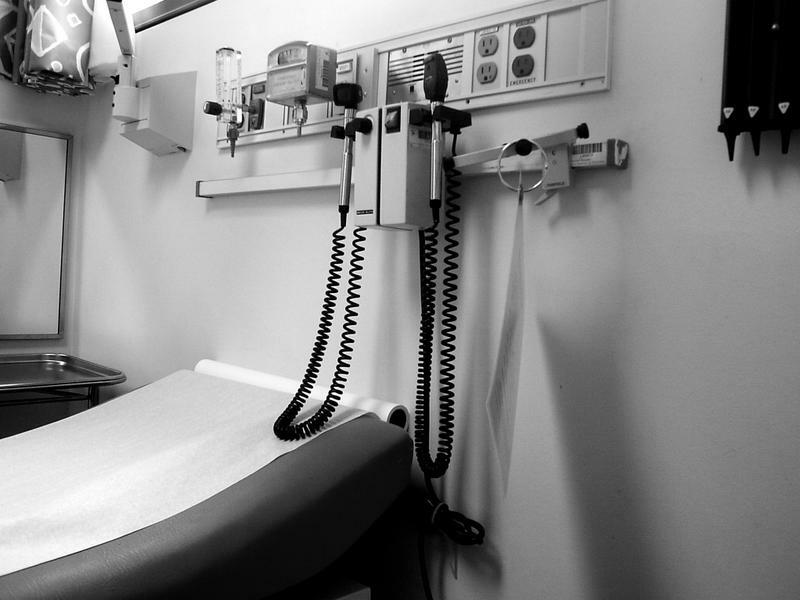 She notes that because of restrictive laws and limited access to abortion, women in many states already struggle to obtain the procedure, even under Roe. "It would no longer be a matter of traveling across your state; it would be a matter of traveling multiple states that would actually allow you to get an abortion," Cole said. The White House says President Trump has already dug in. 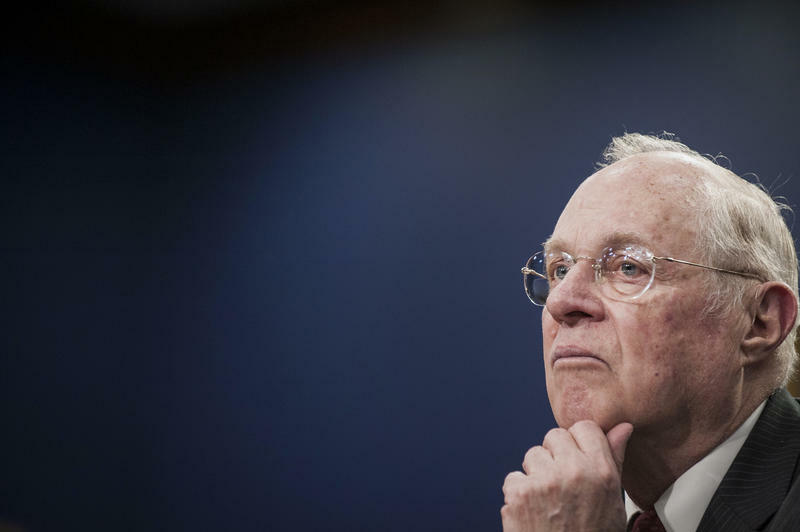 He is thinking seriously about who he might nominate to replace retiring Supreme Court Justice Anthony Kennedy. The president met last night with a group of key senators, both Republicans and Democrats, to consult with them. Now, one big factor in the decision-making and the nomination battle that will follow is abortion and the potential that a more conservative court might one day overturn Roe v. Wade, the 1973 case that legalized abortion nationwide. NPR's Sarah McCammon has been covering this, and she joins us this morning. SARAH MCCAMMON, BYLINE: Hi, there. GREENE: So you've been talking to activists on both sides of the abortion debate since this big and surprising retirement. I mean, where are they talking about putting their energies now? MCCAMMON: Well, both sides are definitely mobilizing their activists and the grassroots. They see this as a really important moment and one that they've been preparing for. On the anti-abortion rights side, you know, there's been a lot of work over many years to sort of incrementally restrict abortion rights, but they see this as a much bigger opportunity. Here's what Kristan Hawkins of Students for Life had to say. KRISTAN HAWKINS: Our goal in the pro-life movement has always been to make abortion illegal and unthinkable. And so we want Roe to be overturned, and we expect that. MCCAMMON: And her group was out with a video, David, the day of Kennedy's resignation, saying, this is our moment; we have to seize it - and urging activists to lobby lawmakers. Abortion rights supporters, on the same token, are taking this very seriously and reaching out to their grassroots. I've heard Kennedy's departure described as devastating and extremely concerning because he was the swing vote, and on abortion, had often voted to uphold abortion rights in some really key cases. So, of course, now this fight goes to the Senate. The confirmation process will be intense. And senators on both sides seen as potentially vulnerable or likely to be open to crossing party lines will be getting a lot of attention. GREENE: But it's almost like we're getting ahead of ourselves. We don't even know who the president's going to name yet, right? I mean, so where's that process? MCCAMMON: Right. So during the campaign, Trump, you know, in an effort to reassure social and religious conservatives, released a couple lists of likely Supreme Court picks, and that became a really big issue in the campaign. He added a few names to that list last year, people seen as socially conservative, likely to vote with conservatives on issues including abortion. Abortion rights opponents were very happy with his first pick, Justice Neil Gorsuch. Those I've talked to say they're largely pleased with the list they've seen and they hope he'll pick from them or someone along those lines. GREENE: But of course, one of the questions is if and when an actual case would come before the court that would give the court an opportunity to overturn Roe v. Wade. So how likely is that to happen? MCCAMMON: Right. Well, during the campaign, Trump did promise to choose justices who would oppose abortion rights, and he said that, as he put it, in the last debate, Roe would automatically be overturned. That is not true. It would not automatically be overturned. It would have to go through the court process, and that would likely come through a challenge to a state law. There are a number of state laws out there that could be the first sort of test case for the new court when it's configured. A couple states have passed 15-week bans on abortion. In Iowa this year, a law was passed banning abortion after a heartbeat can be detected in the fetus. So that's usually six to eight weeks before a lot of women know they're pregnant. That one, abortion opponents said, they intentionally, they believe in the law, but they want to force SCOTUS, the Supreme Court, to consider this issue. At the same time, there's no guarantee that a Trump nominee, you know, on the court would mean the end of Roe v. Wade. Justices sometimes surprise us. But that is the goal. GREENE: And so what would happen if Roe were overturned or seriously eroded? MCCAMMON: Well, then it would go back to the states, and state laws would take effect. Abortion rights opponents have been sort of downplaying the idea that this would mean the end of abortion, but reproductive rights advocates note that a lot of states already have laws on the books, some of them old, pre-Roe laws that could ban abortion in most or all cases if Roe were overturned. 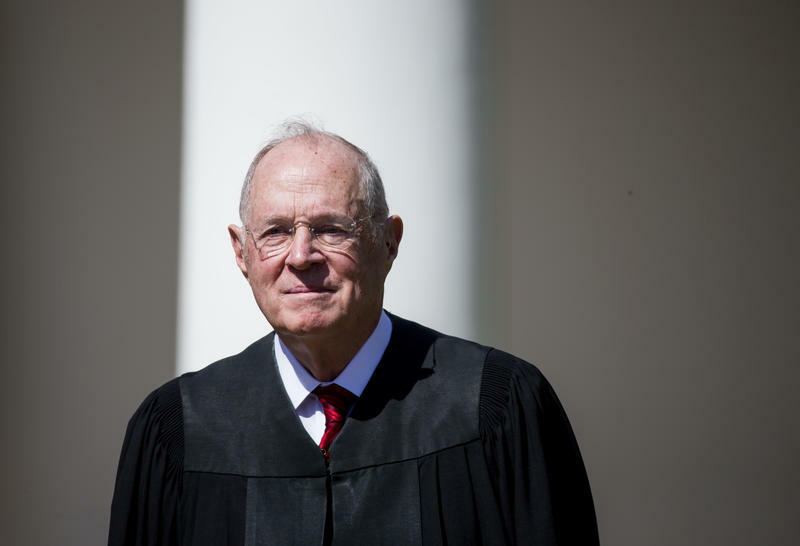 Justice Anthony Kennedy announced Wednesday he would be retiring from the Supreme Court. With him go his three decades of experience on the bench and, more politically pressing, his moderate legal philosophy. It was this centrist streak that made his vote the key in many deeply divisive cases — so many, in fact, that Kennedy earned himself a reputation as the court's quintessential "swing vote."